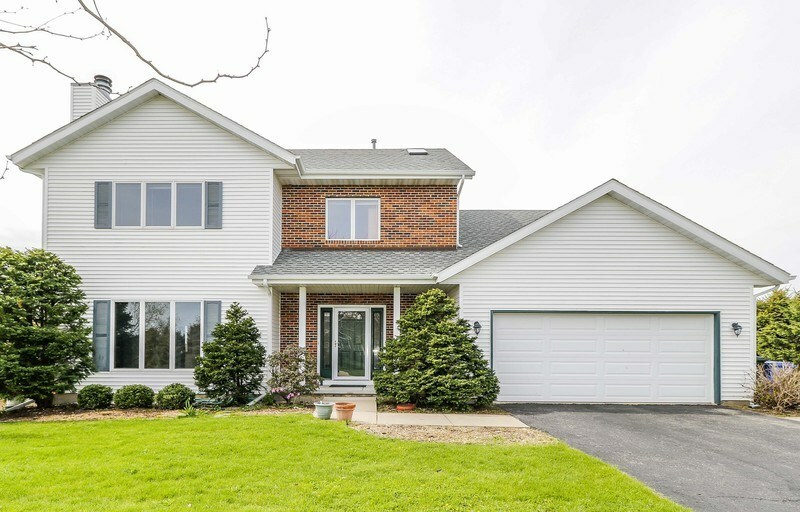 8520 Stonebrook Cir, Middleton, WI.| MLS# 1848683 | John Reuter Realtor/Broker/Owner of The Reuter Team. Wisconsin Homes for Heroes Realtor. Proud to be the Top Homes for Heroes Realtors in Wisconsin and One the Top Homes for Heroes Realtors in the United States. WONDERFUL HOME! THIS IS A TERRIFIC PURCHASE OPPORTUNITY FOR BUYERS WHO LIKE LARGE ROOMS WITH MANY WELL PLACED WINDOWS AND A NICE LARGE LOT CLOSE TO SUNSET RIDGE ELEMENTARY. The home is in great condition: newer roof, new furnace and A/C. Kitchen updated with new counters and sink, all appliances within last 6 years. Master bath totally redone in 2018. All rooms painted in last few months, new carpet in most rooms, all in neutral colors. Lower level features three nice rooms all with egress. Nine foot ceilings and extra wide stair cases. Move in and enjoy the pretty countryside.